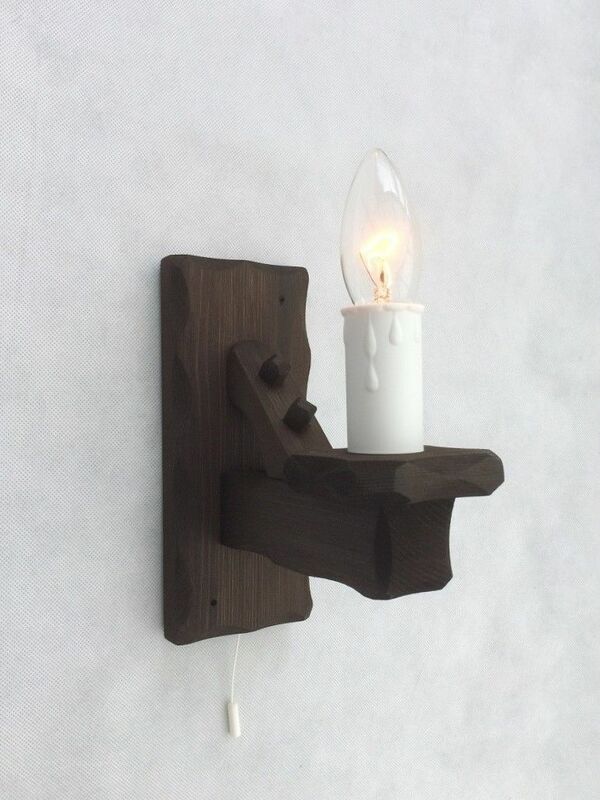 This hand-made wooden wall light is part of our Rustic range of wall & pendant lights and is ideal for that country cottage look for your home, whether it be period or modern. 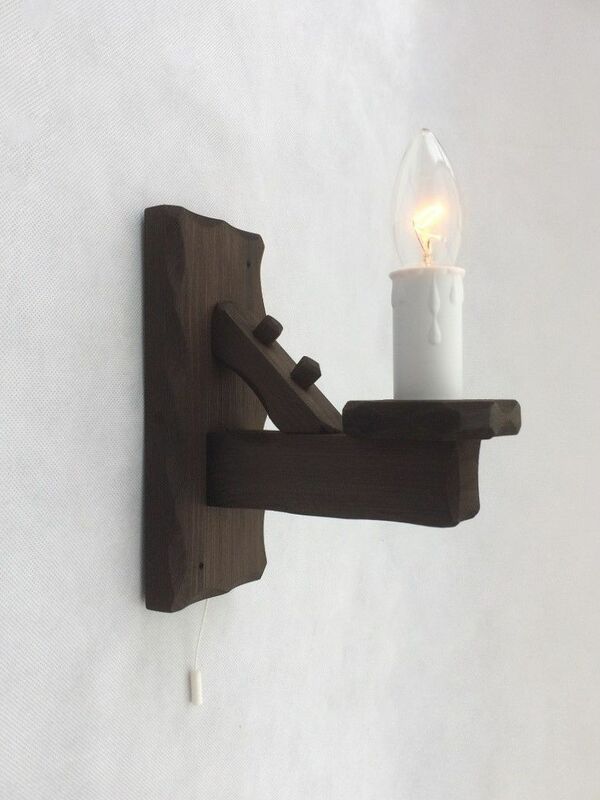 Made from Pine with a dark stain finish. Pre-drilled back plate for ease of fixing. Comes complete with candle drip. Requires 1 x 60watt(max) bulb. Note: If you would prefer a B22 Bayonet Cap style lampholder/bulbholder on this light fitting.